The native peoples of North America established cultures over a vast geographic region, larger than all of Europe. From the Southern United States up into the far reaches of the Artic, aboriginal peoples created crafts and arts according to their own cultures. Native Americans had no real concept of art or any words for it. They rather saw what we would consider artistic achievement in their produced works as well done, powerful, or effective. 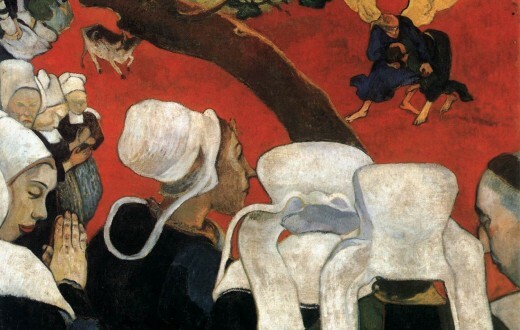 An “artist” as we know it would have simply been a master of a particular craft as opposed to an inferior craftsman, but that was not seen as a matter of choice, but simply of practice or talent that was possible for others to achieve in time. The range of mediums and subjects of these artisans is seen in textile, weaving, carving, figure and doll making, pottery, and sculpture. The Native American peoples of this region lived in areas from the Mississippi to the east coast with cultures developing from 2500 BC. Most lived in primarily agricultural societies, but they also had industry of sorts, as in the Flint Ridge works of Ohio. These Indians traded heavily with each other over long distances, with goods making their way from the North all the way down to the Gulf Coast along the Natchez Trace. Many Woodland tribes and nations created great earthworks for burial of the dead and were known as Mound Builders. One of the greatest examples of this is Serpent Mound in Ohio that was fashioned in the shape of a moving snake. Mounds contained artifacts of daily life and ceremonial funerary items. The Deptford culture that lived near modern day Savannah, Georgia, was the first to create object art and did so in the form of ceramics. Stone tablets were carved with animal designs by the Adena people who lived in what is now known as the Ohio River Valley. This culture also worked in pottery, engraved shell art, and created ceremonial costumes of animal hide and deer antlers. The Hopewell Tradition was not a single tribe, but the name for various cultures that lived on the riverbanks of the Eastern United States. They created sculpture in a variety of mediums including human bone and they were also jewelers. The Iroquois dominated the Northeastern United States and they with their neighbors created what was called wampum for trading. Wampum were shells, and later beads from Europeans, that were used as currency or for record keeping. The Mississippian Culture was widespread over the Southern United states from Texas to Florida. They advanced ceramics by using mussel shells for tempering, were excellent coppersmiths, carved statues from stone, and created both pottery and jewelry. Some copper work included elaborate pieces such as Long Nosed God Maskettes. The Mississippians also etched well rendered images onto stone and shell plates. The natives of the plains have distinct cultures as well, from the nomadic tribes like the Sioux to the permanent settlements of the Pueblo. As white influence descended onto the plains, both art and culture of all groups were affected. The use of horses gave the nomadic tribes further range and converted some agrarian groups to the nomadic lifestyle. Buffalo was easier to hunt after the addition of the horse to the activity and more buffalo art was created, especially that of clothing. Clothing and textiles were of great importance to the Plains Indian as they denoted special status, tribe affiliation, and other personal subjects. Porcupine quills, beads, shells, elk teeth, feathers, coins, and glass were used to decorate both ceremonial and every day clothing and adornments. Southwestern tribes like the Navajo were highly skilled at weaving and loomed intricate and vividly colored zigzag patterns into blankets and rugs, and some pieces included human and animal figures. Painters used buffalo and other hides, and later muslin and paper, to paint narratives of hunts and vision quests and also various geometric patterns and maps. The use of paper was mostly done in ledgers and that art form is now called Ledger art. 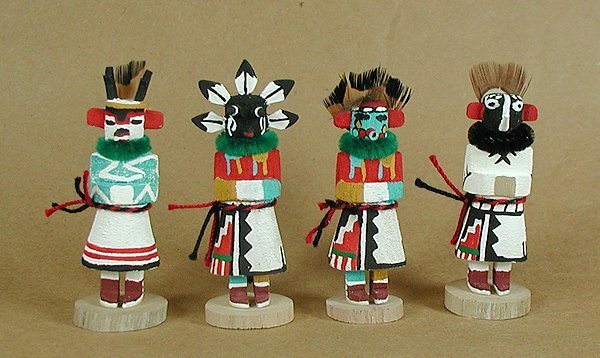 The Southwestern Indians were also skilled figure makers and to this day make what are known as Kachina Dolls or Kachina Figures. These are representations of kastinas, spirits of deities that control the natural world and carry messages from humans to the world of the spirits. 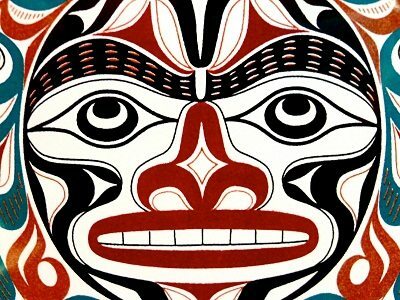 The coastal native peoples are known for their vibrant and skillfully carved totem poles which feature symbolically representative animals and creatures. Being skilled carvers and sculptors, they also created masks, and sculptures from various materials including woods and metals. Their style of dress was very distinct and featured woven hats and distinctive jewelry. The history of the Inuit peoples of Alaska begins with the arrival of people from across the Bering Strait around 4000 BC. The first structured culture was that of the Dorsets, around 600 BC. They produced figures of humans and indigenous animals from antlers, bones, and walrus ivory. They also produced very small masks. Ivory carvings often included finely etched details, particularly skeletons of the animal being depicted. Most artifacts were of religious, magical, and mystical importance. Later Inuit cultures introduced more elaborate designs, such as geometric patterns and more sophisticated animal images. The Thule culture obliterated the Dorset culture and introduced new forms of art that were secular in nature in that they were created for utilitarian purposes, like in the instance of combs, but were decorated solely for the purpose of aesthetic enjoyment. 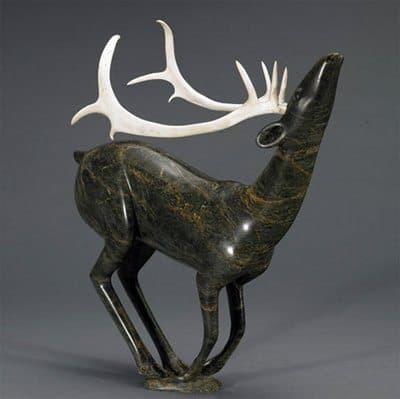 Inuit peoples were very skilled craftsmen and carvers and made all of their items by hand using things found in nature. They were a nomadic people and weapons and tools carved from ivory or bone were more lightweight and durable that other alternatives like pottery or ceramics. When they did carry objects that were created for beauty alone, they were very small in scale and consisted of miniatures or of jewelry. 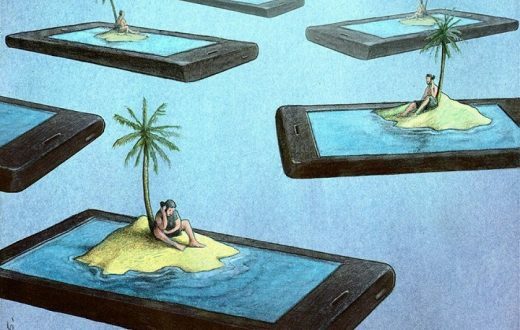 They fashioned these items to have multiple significance as the art on them or the style and shape in which they were created gave them historical, symbolic or mythological meaning for the purposes of mnemonic story telling. Louisiana was home to the Poverty Point culture which thrived between 2000 – 1000 BC. They were a trading people and artifacts can be found at the site from as far away as Ohio, Alabama, and Missouri. Artistic objects include stone beads, vessels, figurines, and shell beads. The Mississippians were also mound builders, but instead of rounded mounds, or animal mounds, they built large platforms on which sometimes were built religious structures. The Iroquois are still creating False Face Masks and Corn Husk Society masks which are masks for Iroquois use only and are not for sale. They are used in religious ritual. The Mississippians were great traders and were part of the Southeastern Ceremonial Complex, a network of trading communities and religions. The Cooper Bison Skull features a red zigzag and is the oldest known example of painting in North America, dating to 10,900 BC.